Psst... Don't tell the King! I'm having an affair... with my seam ripper! Ugh! Not exactly the love of my life that I would have expected. It seems I have been spending an awful lot of time with my seam ripper here lately. More time than I care to. As you recall, on Wednesday at UFO's I had to use it to "frog" (rip it, rip it) 48 half square triangles from 24 pieces of sashing. Mission accomplished. Then on Friday, I had to spend another couple of hours with the beloved seam ripper again. This time on a customer's quilt. Don't ask me how it happened; it's too complicated. Let's just say it's the possessed Queenie again! Anywhoo.... Queenie stitched 4 repeats of a border pattern twice, on top of each other, and of course it didn't stitch exactly on top of each other so began my affair with the ripper again. Yay, it's all ripped out!!! 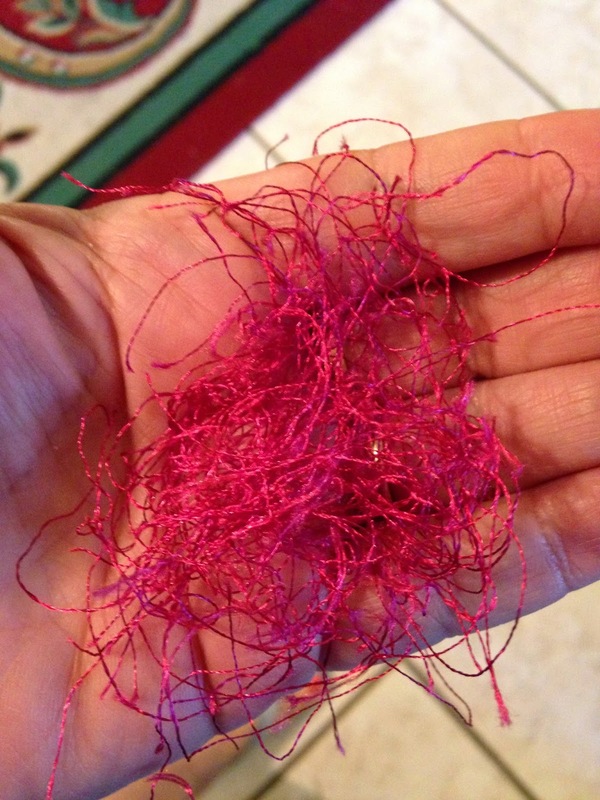 And that is a wad of thread! Sorry seam ripper but we must stop seeing each other like this. I don't have time for this. And I can't show the whole quilt yet either. It's a sample for a pattern designer and she's not ready for me to post the pictures yet. What a complete bummer! Hope you have better luck soon! 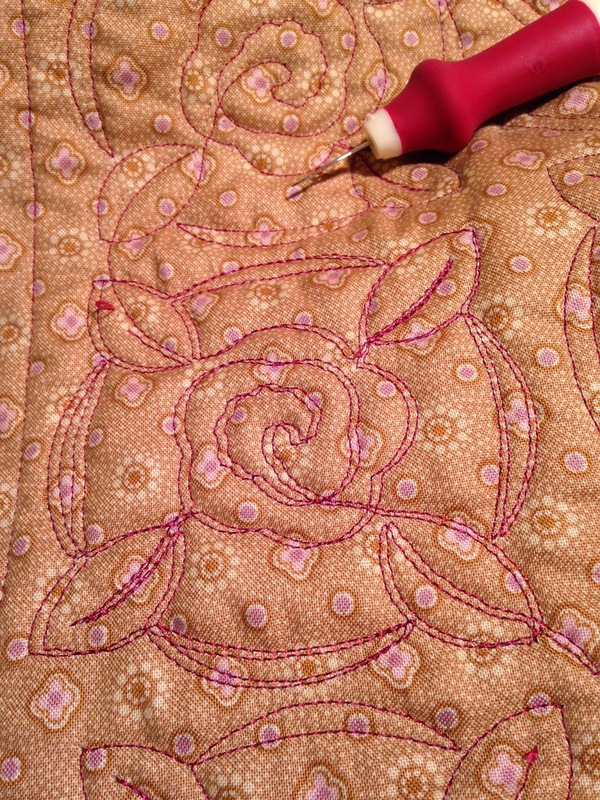 Which stitcher/quilter has not had an affair with a seam rip? I don't know one so you are still in good company....even if you are guilty of an affair...ROFL. Ugh! I have those icky times with my ripper, too, but it looks like you made it look beautiful again. I thought I was the only one having these kind of quilting experiences! Thank goodness for Mr. Ripper!